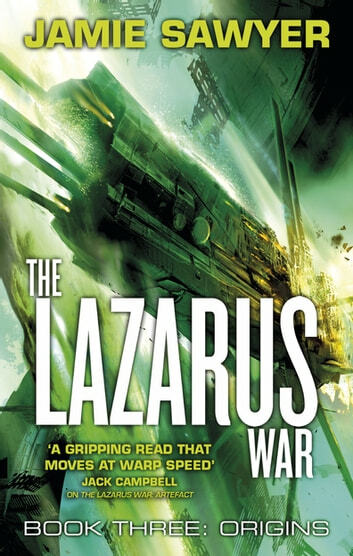 For someone who has died and come back as many times as Conrad Harris, the nickname Lazarus is well-deserved. His elite military team are specialists in death - running suicide missions in simulant bodies to combat the alien race known as the Krell. But now the Krell Empire has wreaked such devastation that military command is desperate for a new strategy against the alien foe. Harris and his team are being sent on a mission that could finally turn the tide of the war. Intelligence has been uncovered that indicates the location of the UAS Endeavour, a ship that went missing years ago deep in Krell territory. The ship could hold secrets to harnessing an ancient alien technology - possibly the most powerful weapon in the known universe. But if this power falls into the wrong hands, the consequences for humanity are unimaginable . . .